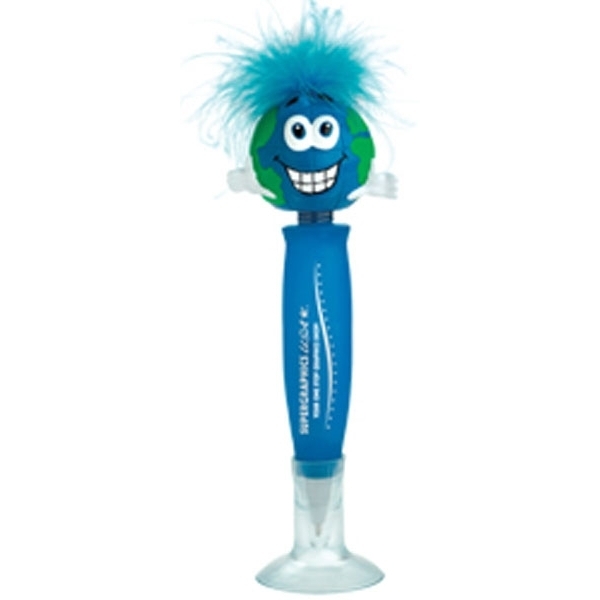 Ballpoint stand up pen with furry hair and globe bobble top. 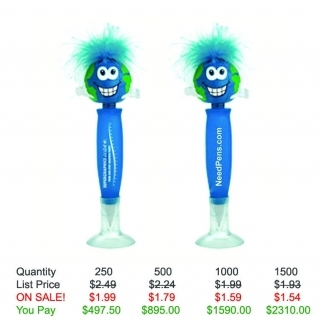 Quality black ink cartridge, along with a color-coordinated suction cup base. 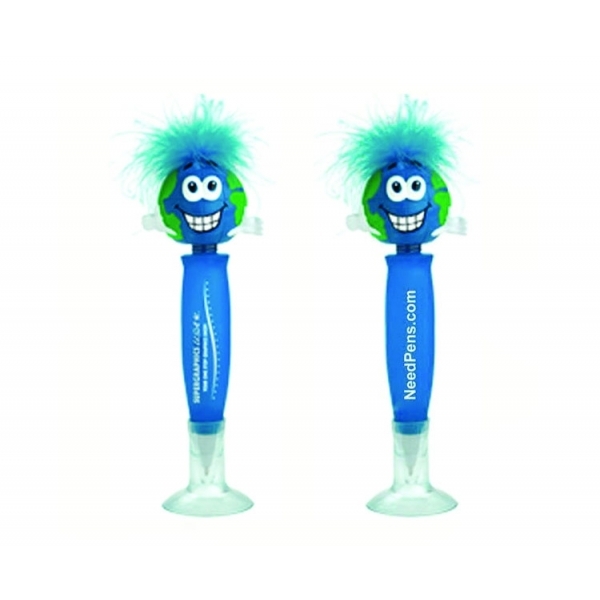 This is the perfect way to put your branded message directly into the hands of your customers! Warning: Choking Hazard - Small Parts. Not for children under 3 years. Product Features: Spring mounted bobble-head.